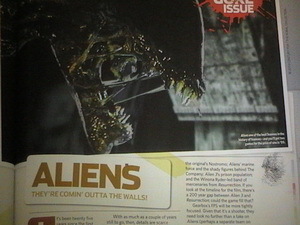 The two Aliens games in development were talked about in this month’s X-Box Magazine. Forum member Mr. Weyland scanned the article in for us. They just talked about what to expect from the game etc. Man, oh man, this is gonna be great! I really want a few real details. A screenshot would really get me exited. I want get new avp game!!!!!!! . On this game do you be the aliens or the humans? I'm the ultimate predalien fan! !